$44.96 10% Off - Great Price! $39.96 / ea. 20% Off - Most Popular! $37.46 / ea. 25% Off - Best Value! 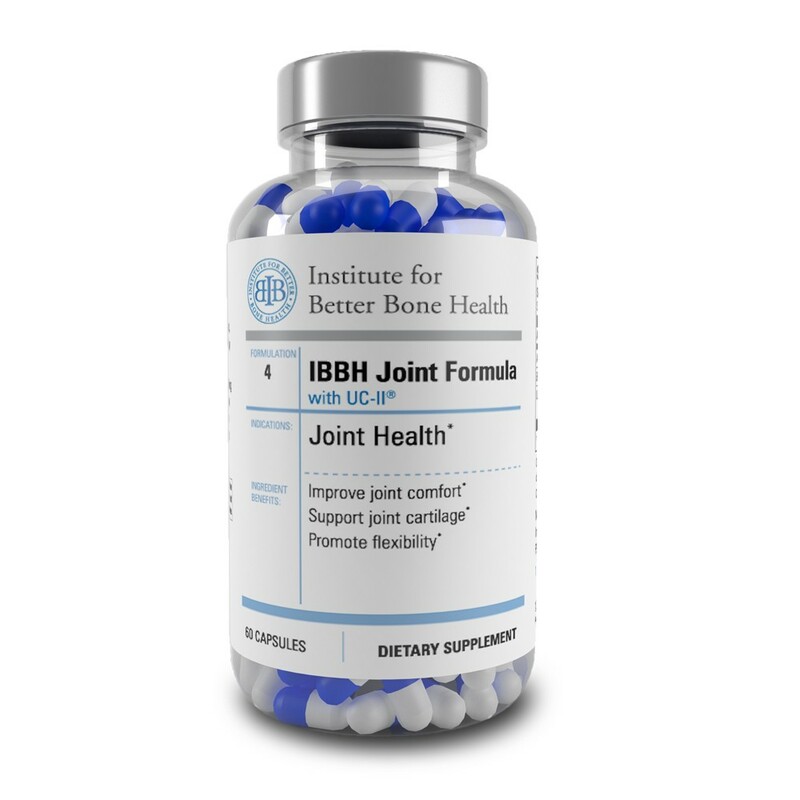 UC-II is a patented type of collagen that has been shown to be 3x more effective than Glucosamine and Chondroitin. 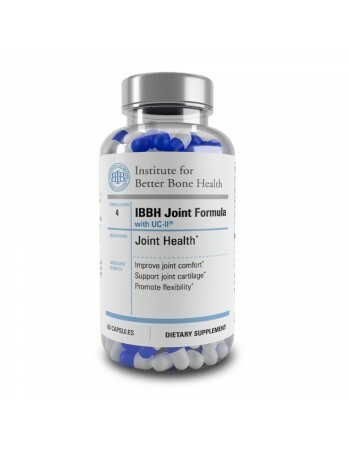 UC-II also allowed increased activity levels for knee joint sufferers. 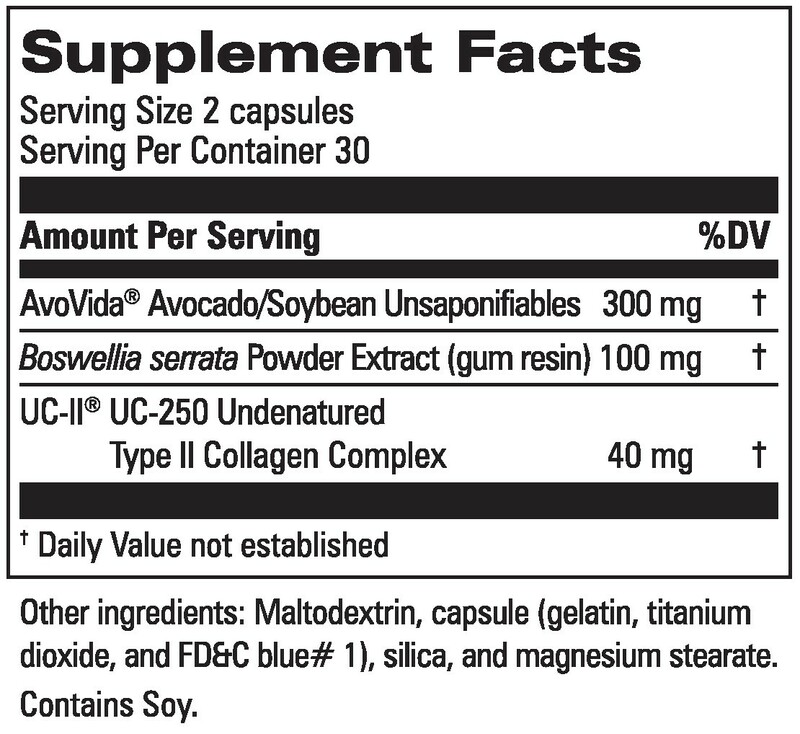 ASU (Avocado and Soy extract) helps increase production of collagen in joint surfaces, while decreasing chemicals that can cause inflammation. Boswellia Extract (Frankincense) has been valued for thousands of years as a natural remedy for joint problems.